Both bring a unique perspective to the presentation, with James' 12 years of experience in digital media and Hilts' diverse background which includes fine art and computer science. Elsewhere on the Media + Marketing Summit (Syd) agenda: Cricket Australia’s head of female engagement Sarah Styles will deliver the keynote opener; the consultancies (KPMG, RXP and Deloitte) will explain how their businesses differ – and take questions from the floor; Jules Lund will host an interactive session where he will turn the audience into a creative agency, DDB and McDonalds will reveal the secrets of their 45-year long local partnership in 'Making the Marriage Work'; while two more sessions: ‘The Promise of Addressability’ and ‘Marketing to Machines’ will be confirmed next week. We are also pleased to be hosting our AdNews Upfronts for the first time, where partners ThinkTV, ARN, NewsMediaWorks and Amobee will deliver quickfire agnostic presentations on where they expect their part of the industry to head in the next 12-18 months. Early bird tickets for the event are still available (valid to 6 April 2018 – get moving). $585 including GST per person for groups of five, or $610 including GST per single ticket. The AdNews Media + Marketing Summit, Sydney takes place on May 4 at The Eternity Playhouse, Darlinghurst Theatre, Darlinghurst. Carat is our presenting partner for a second year in a row. We would also like to thank our ongoing partners Tonic, REA, Amobee, ARN, News Media Works and Think TV. WTF is blockchain and why should media care? Carat chief digital officer Sarah James and head of innovation Robert Tilt will deliver the WTF is blockchain and why should media care? session at Sydney Media + Marketing Summit on May 4. 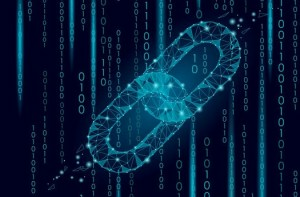 The pair will present a session deep diving into the mechanics of blockchain, and how it is expected to impact the advertising business in coming months and years. Leading media agencies are already trialling its technologies to make their systems more transparent, and it is heralded as one of the ways issues of transparency can be cleared up in the media business. This session will bring two leaders in this space together and shine a light on what needs to be done. James is the driving force behind Carat’s digital transformation, working closely with technology partners, global media partners and digital agencies to keep Carat clients well equipped for the ongoing digital revolution. Tilt's remit is driving the innovation agenda at Carat, harnessing the power of emerging tech and innovation to take clients into new territories.